AJB Window Cleaning provide window cleaning services to the commercial sector in the Maidenhead and Thames Valley area. We clean windows for pubs, shops, schools, property management companies and residents committees that provide management services for blocks of flats and also office buildings. An internal window cleaning service is also provided on request. AJB Window Cleaning uses pure water reach and wash systems on commercial buildings as this complies with working at heights regulations and health and safety. We have full Public Liability insurance of £2 million. 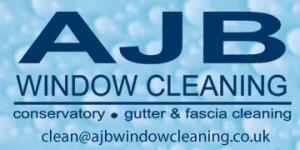 AJB Window Cleaning offers both Commercial and Domestic Window Cleaning Services in the Maidenhead and Thames Valley area. Please see our Commercial Cleaning Section or our Domestic Window Cleaning Section for full details.